I have been decorating a second guest room so we are now ready for overnight guests in both of our guest rooms. This room is far from the cottage look of the rest of the house, but alas, I had to use the things I had. 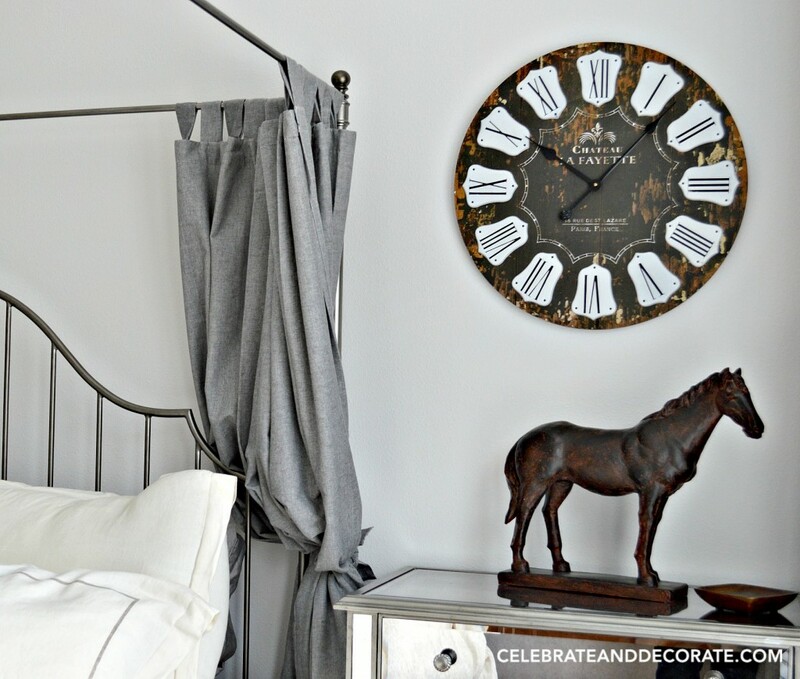 This room is more of a French equestrian theme, and turned out very well. I am so excited to think that I will have all room to have all of my family under one roof. Unfortunately the weekend my son and daughter in law will be able to come and visit my daughter and granddaughters, my son in law will still be in Germany. I am sure that the time will come when all of us can gather in this family home together. I want my guests and family to have comfortable rooms to stay in when they come to visit. Working with the size rooms we had in the house, the “cottage” bedroom has a queen size bed and this bedroom, with an equestrian theme has a king size bed. 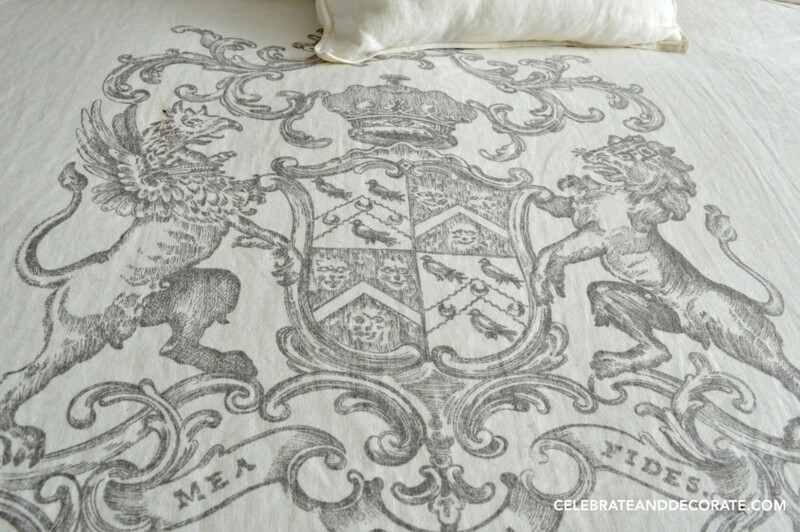 This bed was in the master bedroom in a past home. I think guests will feel quite “royal” in this lovely room. 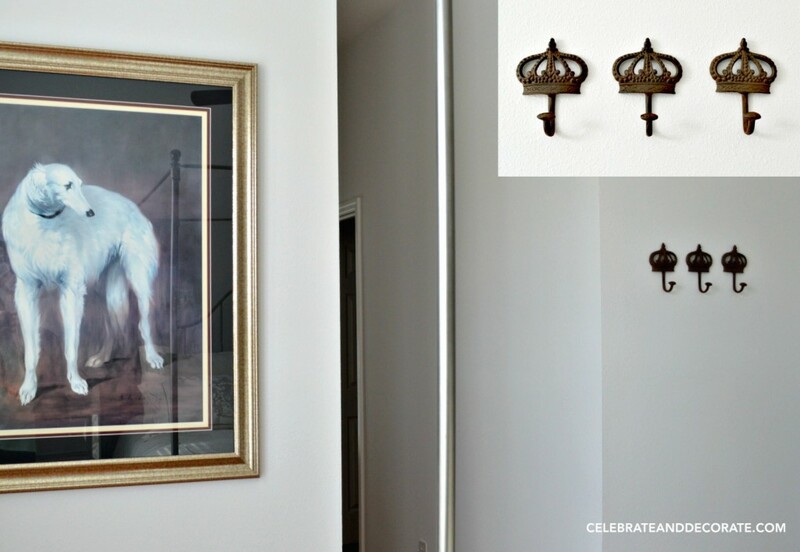 This room came together with its horsey feeling because of a couple of pieces I had and pulled together into this room. This horse figurine sat in the living room of our old condominium. The clock had been hanging in our kitchen. This is the only room with any French accents at all, so here is where the clock lives. This picture was one my husband and I fell in love with several years ago. We waited and treated ourselves to this impressive artwork for Christmas one year. This is a photo of the stable at Chantilly in France. 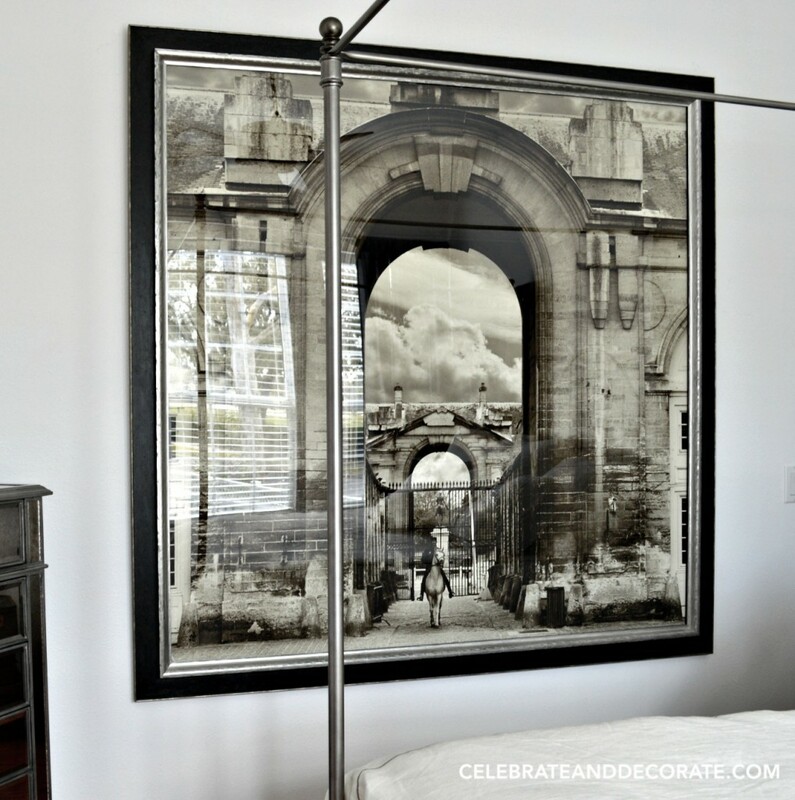 This was the perfect piece to help pull both the French and the horses together in styling this room. For the walls, we chose Benjamin Moore Distant Gray. 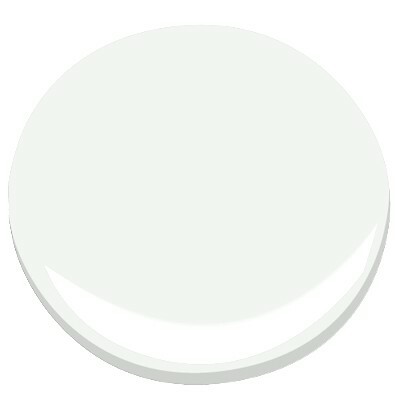 I found this to be a beautiful soothing paint that is not too warm and not too cool. 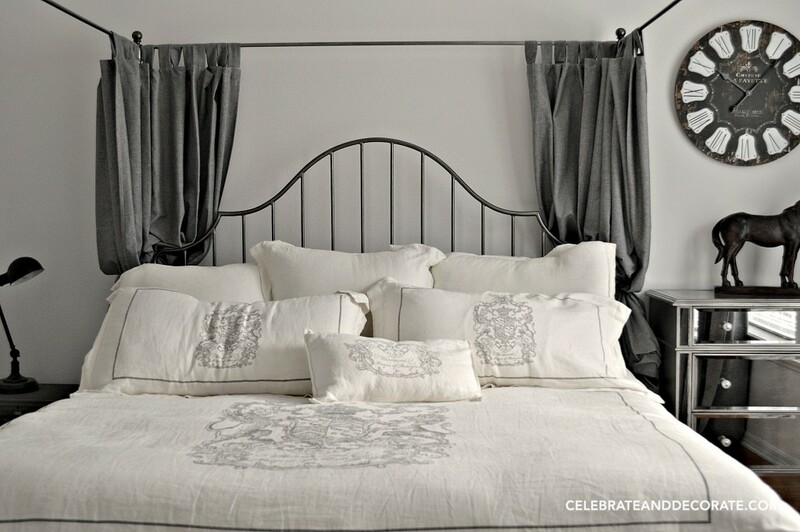 This is the perfect backdrop to our gray window treatments and the gray and white bed linens. 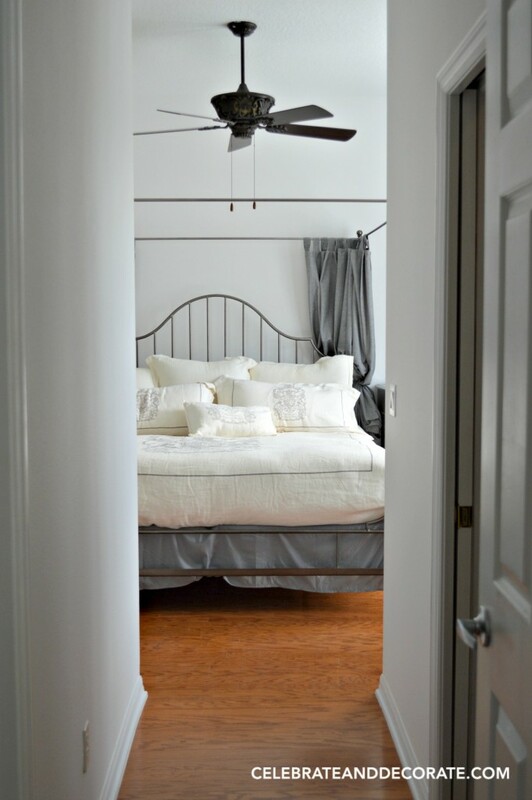 With bed linens like this, the crown hooks below were a natural fit. 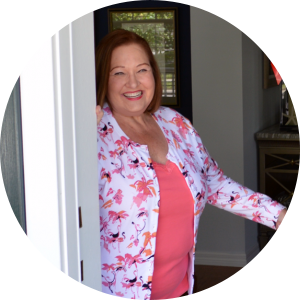 I love giving guests some hooks to quickly hang up pajamas, a robe or just when you have a quick change of clothes to head out to a new activity. For those of you who have been waiting to see my finds from the Renningers Sale…these little hooks came from there! 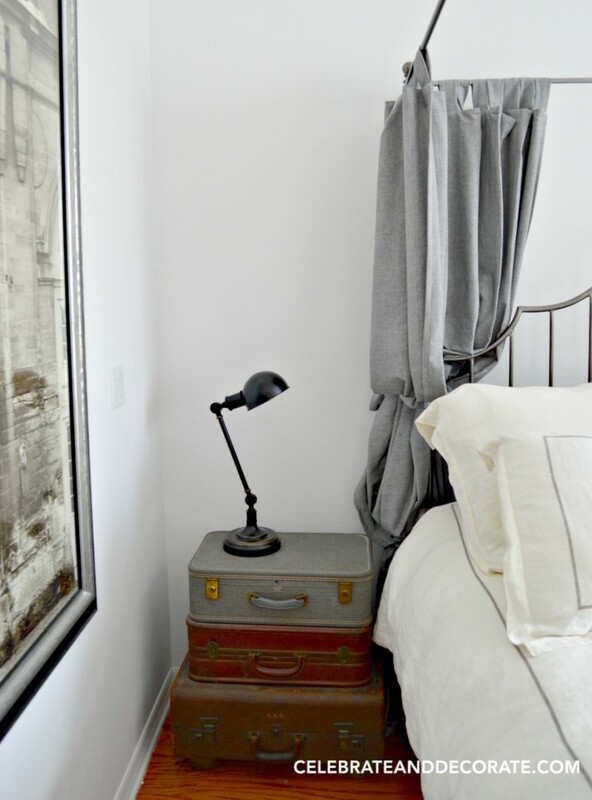 An inherited bedside stand of old suitcases sits on one side of the bed with a handy reading light. The other side of the bed provides a mirrored dresser. I keep most of the drawers empty so guests can tuck some of their items away. Another mirrored piece, both of them from Pier One, is a lingerie chest which provides some drawer space and a landing space for guests’ items. 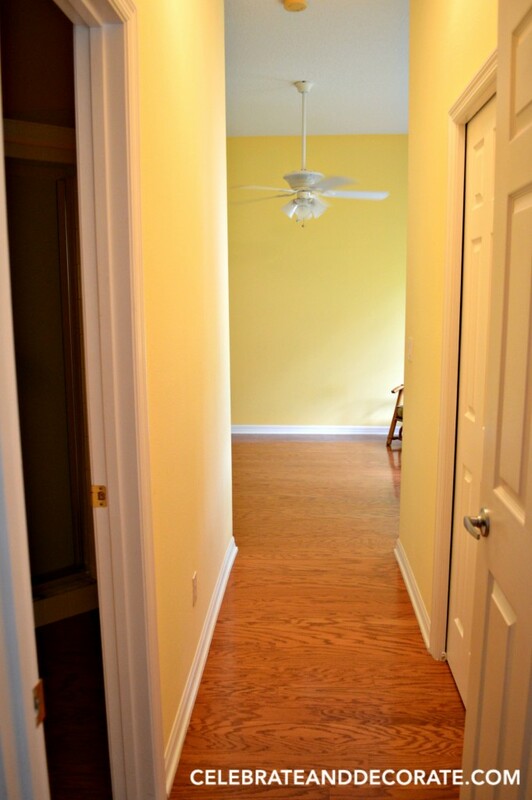 A peek in toward the bedroom which has a little hallway to separate it from the common areas of the house. There is a walk in closet on the right and an en suite bathroom on the left. 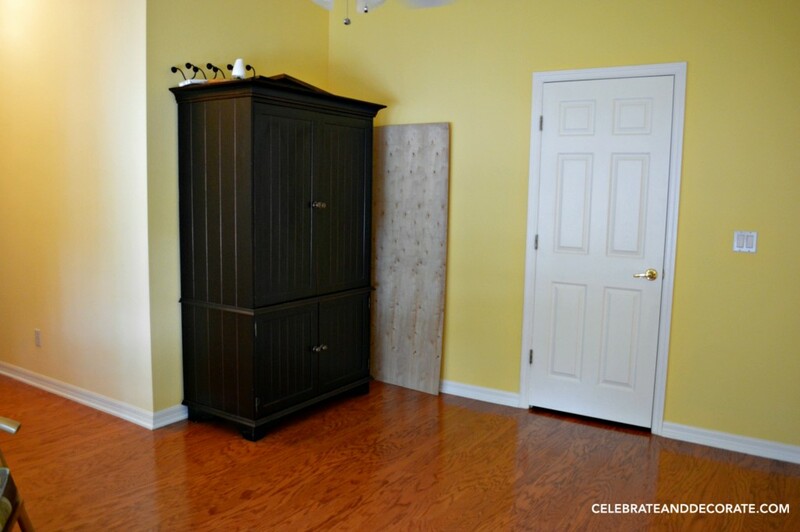 The redecorating of the room may not have made it very colorful, but that bed makes it look so much more inviting than that yellow paint and an empty room. Here is a “before” picture that shows the weird door that connected the two guest rooms to one another. I am not missing this yellow paint, either! I am thrilled with how the room turned out and I hope all my guests are too! Such a beautiful room! Any guest would be happy to stay there. Thank you Debbie! I hope I have lots of guests! Oh my goodness Chloe, this is beautiful! The artwork really does set the theme which is unique and so pretty. Love the bedding. Thank you Stacey, it kind of reminds me of your blog title…poofing the pillows! I always thought this bed had too many pillows, but now that I am not using it every day, it looks great! Your bed is fit for a king! I love the gray and the bedding you chose. Your room is so calming and the bedding looks very soft and comfortable. I love the picture too! Thank you Dawn. This pieced together from various rooms and turned out nice. That room is beautiful! You did a lovely job! There is a quiet elegance to this room and it’s very inviting. Using what you already had definitely paid off. Are you sure you’re not an interior designer? Oh, Sandra, you are too, too kind. It was pretty easy to pull together the pieces we had! I am in love with your room! Absolutely regal! Where did I you get the bedding? Thank you Julie! I bought it several years ago at Restoration Hardware. Your bedroom is lovely! I love that picture on the wall! Thanks for sharing at Home Sweet Home! LOVE how this room has come together!! Thanks Danielle! I have a guest enjoying it right now! Thank you Melanie, this would certainly fit in a Country Dream House! Oh, so lovely. We are living in Martinique right now, which is a French territory. I see the hints at it here and there, like your room. So relaxing. 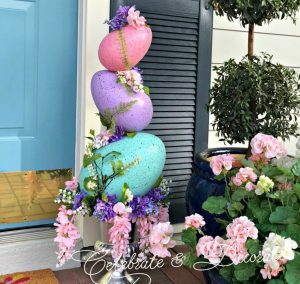 Thank you for linking up to Tips and Tricks! Wonderfully pulled together Chloe, Love the theme. I adore the linens and that awesome photo! Very Classy. The whole thing is so gorgeous and inviting. In particular, I love the art piece that you and your husband had – and it is perfection in this room. Love it! what a wonderful guest room! Our guest room didn’t have room for a queen, let alone a king….. This looks like a high end hotel in Paris! 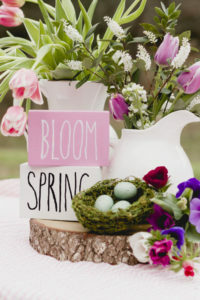 You have created a most beautiful place for guests. Can we all come? Ha! Thanks for sharing and linking. 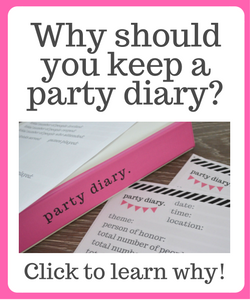 This post was featured on my blog today! Thanks Chloe and congratulations.